What is your relationship with death? What would you need in order to have a peaceful death? Creating a relationship with death is a vital part of being fully engaged with life. So many of us put off attending to important aspects of this transition because we are in denial that death might come at any time. And yet a peaceful death can be in the details. Just as in going on a journey, there are certain things that need to be in place in order for you to truly relax and be present, so it is with the journey of death. And knowing that these things are taken care of also allows us to be more relaxed and present in the journey of life. What if you had the opportunity to just show up to a class and be walked, step by step, through taking care of all the practical aspects of each phase of the journey of death – before, during and after? Experience a safe container in which to share and talk with others about this potent subject that we don’t normally get to explore. Receive a comprehensive Peaceful Dying Project Guidebook and be guided through the process of; creating an Advanced Directive or Living Will; appointing a Health Care Power of Attorney; expressing your wishes and appointing promise-holders for your funeral and burial; expressing your wishes for funerary rites; and creating or updating your will. By the end of the class you will have the opportunity to have a package of forms filled out and ready to take to a notary public or your lawyer for final approval. Find out about the Funerary Rites that are available through the Sacred Fire Community and how they can support and guide you or your loved ones’ soul to find it’s way back to it’s ancestral home after you die. Prema Sheerin, a marakame (shaman) in the Huichol tradition and head of the Sacred Fire Community’s Death and Dying Council, holds space for true transformation. Prema speaks about death in ways that we haven’t heard before, but that feel true and real. And in this webinar, she will provide experiences and materials that will assist us in preparing for this transition so that we can approach it, or help others to do so, with equanimity and grace. 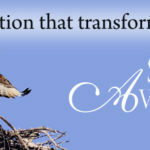 Register now for the Lifeways Peaceful Dying Project webinar. Dates: 8-9:30 PM Eastern time on these Wednesdays: 1/9, 1/16, 1/30, and a Wednesday in February to be determined. Worried you’ll miss one or more classes? The series is being recorded, so you won’t miss a thing. 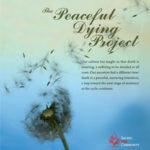 Learn more about the Peaceful Dying Project. Meet Prema Sheerin. Or read a recent article by Prema about our relationship with death. 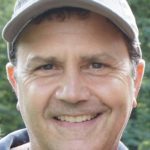 Preema, I’m a new member of the Sacred Fire Community, after attending AWR in October, and I see from Hot News that you are doing a Peaceful Dying webinar. I’m wondering if you can send me more details on your content, as I’m familiar with all but your last bullet point on this flyer. I’m happy to take your class if I’ll learn something new, or for the opportunity to collaborate with you/this community. I see two different sets of dates for this webinar. Is it on Wednesdays or Thursdays. Thank you for confirming the dates! The Wednesday dates are correct. Could you tell me where you saw the Thursday Dates so I can correct the error?